Finally, let’s be sure to include the social determinants of health – or as we non-academics call it, life. 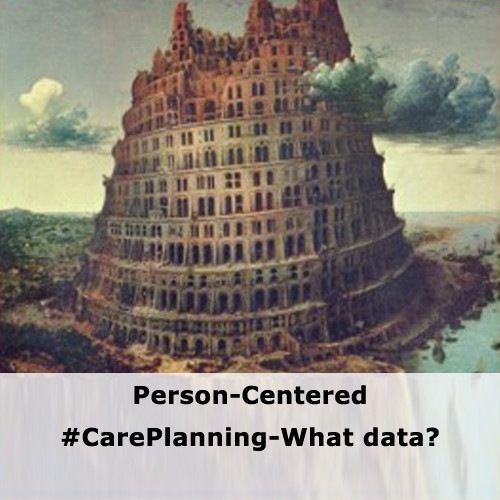 I haven’t yet seen a universal description of what goes into a person-centered care plan. Without that, how can we know whether we’re doing it right? How can we improve? How can we achieve the best possible care, given the resources we have? How can we teach it? What are the minimum data elements for a care plan – verbal, written, and electronic formats?